Let's make those progress notes sharper, faster, and easier. This course helps clinicians integrate Medical Necessity into clinical documentation by offering easy-to-use strategies and tips, including Elizabeth's copyrighted progress note method, called SAFETY First. 'Medical Necessity' is a complex concept, and it's not always easy to know how to apply it to your clinical documentation. This course covers the term's importance in your clinical documentation, and will help you save time and write notes that will keep you, your practice, and your clients safe. This high-quality and interesting course contains a one-hour audio podcast presentation (streaming or free for download via our site, Apple Podcasts, or Google Play), a post-presentation test with six to eight questions per CE credit hour, and a course evaluation; course requirements can be accessed either via computer or mobile device via your Clearly Clinical account. In order to receive a certificate of completion reflecting the associated CE credit hour, you must #1: Register for a free Clearly Clinical account, #2: Listen to the corresponding course podcast, #3: Achieve a passing grade on the post-presentation test (a score of at least 75%; you are able to re-test) and #4: Complete the required course evaluation. This course is intended for psychologists, therapists, social workers, clinical counselors, and addiction counselors. Instructional level: All levels. Once the course is completed, make sure to select the 'Generate Certificate' and 'Get Certificate' buttons. Once you've selected these buttons, a new window will open up with your certificate; it will also be emailed to you. Access to completion certificate will expire 365 days after issuance. Click on the Distance Learning Policies link at the bottom of this page for more information about how to receive a copy of a course completion certificate if course access has expired. Course certificates will be on file for five (5) years from date of course completion. There is no known commercial support or conflict of interest for this CE program, sponsor, instructor, content, or benefit of endorsement of products. Elizabeth 'Beth' Irias is a licensed Marriage & Family Therapist with specializations in Utilization Review and Quality Assurance, and also the founder of Clearly Clinical, an online behavioral health Continuing Education program. As a consultant and trainer, Beth works closely with clinical teams across the country to improve their quality of care, documentation practices, and utilization review outcomes. She also operates a private practice in Westlake Village, CA, where she provides therapy to adolescent/young adult clients, members of the LGBT population, and those with addictive disorders. An adjunct graduate professor at Pepperdine University, Beth is a skilled professional public speaker and presenter, and she regularly presents at conferences throughout the country. To receive a copy of the reference list associated with Elizabeth's course, please email us at info@clearly-clinical.com. All educational course podcasts are available via the link(s) below as part of Clearly Clinical's free podcast series, titled Light Up The Couch. 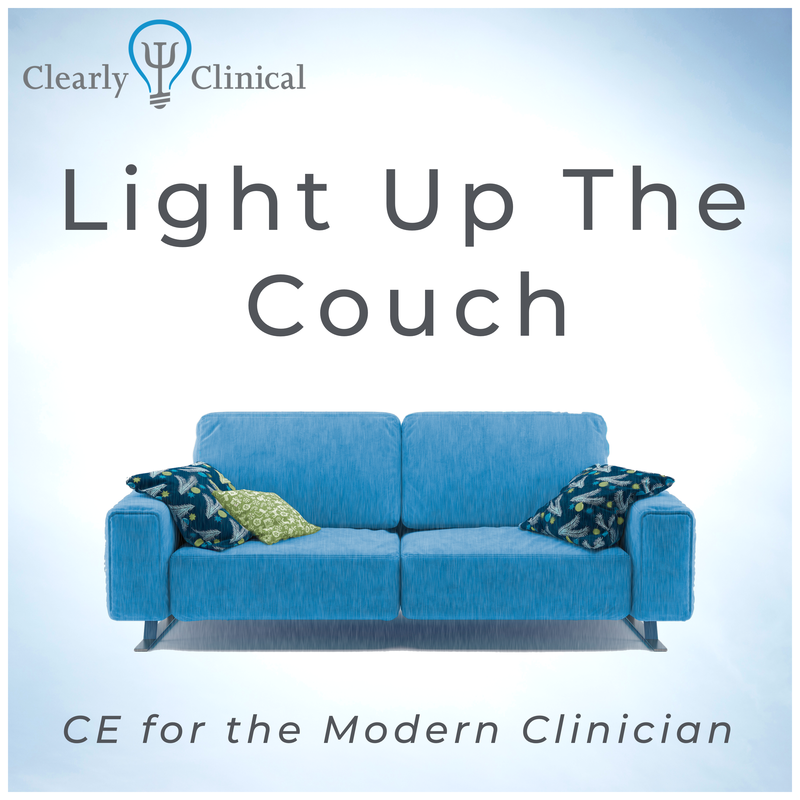 You can also find this course by searching 'Clearly Clinical,' 'Light Up The Couch', or the episode number/title/presenter(s) in the associated podcast/music store(s). I loved this course! I want to purchase an annual subscription in order to take unlimited CE courses. Clearly Clinical donates a portion of proceeds to The Trevor Project, a nonprofit that provides a national 24-hour, toll-free confidential suicide hotline for LGBTQ youth. In 2018, we donated 20% of our gross proceeds to The Trevor Project, and we appreciate your support of this project. We seek and support women and minority presenters, and topics that are particularly socially-relevant and progressive. 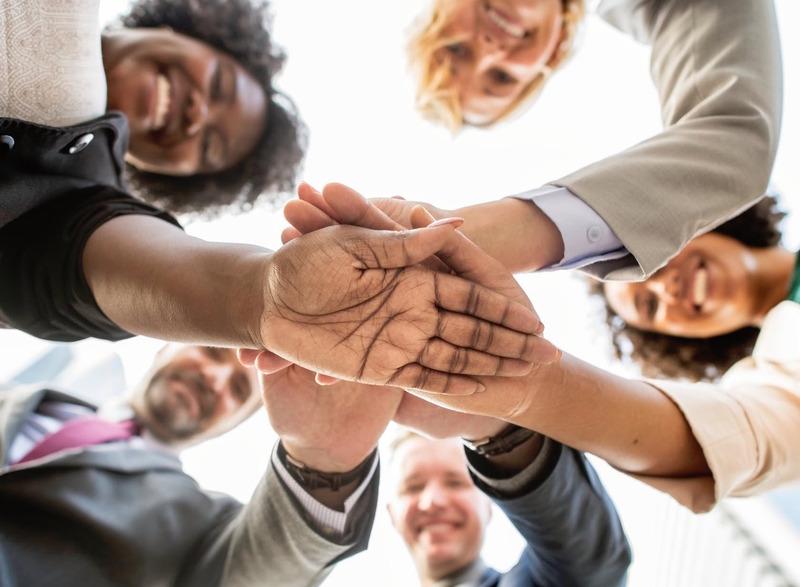 It's time to shake up the world of Continuing Ed and add more diversity to the mix. Check out all of our other courses by clicking below, including our free trial courses.